Cap up to 20 cm, convex to flat-convex, sometimes almost flat, initially dry, smooth or finely cracked, later sometimes slightly viscid, silvery grey, grey to dark gray or grayish ochraceous, sometimes with pinkish tint at the margin, not blueing when bruised. 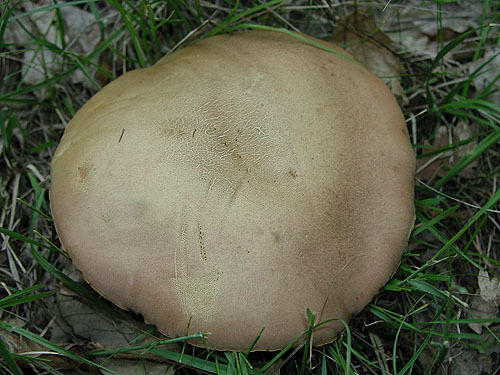 Stipe clavate or cylindrical, sometimes tapering towards the base or rooting, lemon yellow to yellow, sometimes discolouring in places to pale yellowish, sometimes with pinkish or reddish zone at the middle, at least in the upper half but most often entirely covered with fine network, stipe surface blueing when bruised. 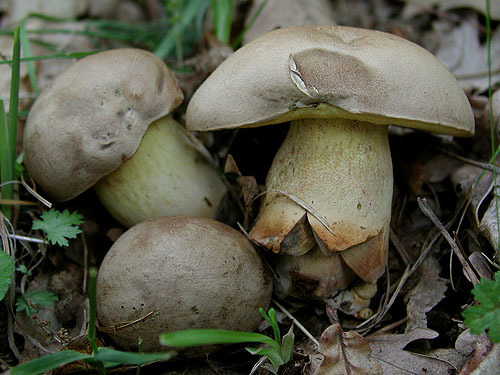 Flesh yellowish to yellowish white, in the stipe base pinkish or brownish pink, blueing predominantly in the cap when exposed to air. 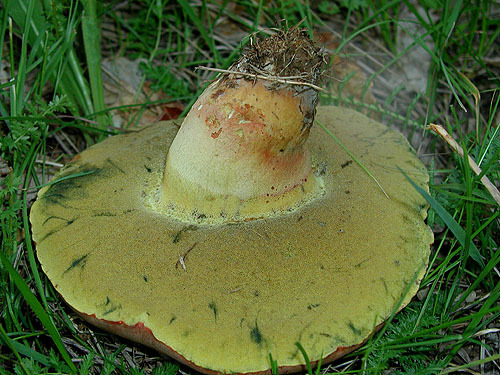 Tubes initially lemon yellow, then yellow, finally yellow with olivaceous tint, blueing when exposed to air. Pores concolorous, blueing when bruised. Smell not distinctive. Taste not distinctive. 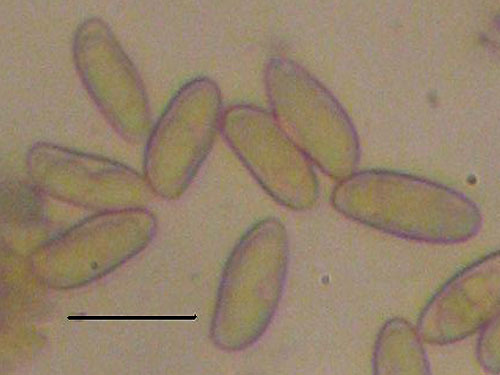 Spores 9–15 × 3.5–5.5 μm, ratio 2–3.4. Pileipellis (the cap cuticle) trichodermium of interwoven septate hyphae. Cells of the hyphae cylindrical, finely incrusted. Chemical reactions: hyphae of the flesh in the stipe base inamyloid with Melzer’s solution. Distribution. In Europe more or less widespread, but apparently more common in south. Similarity. 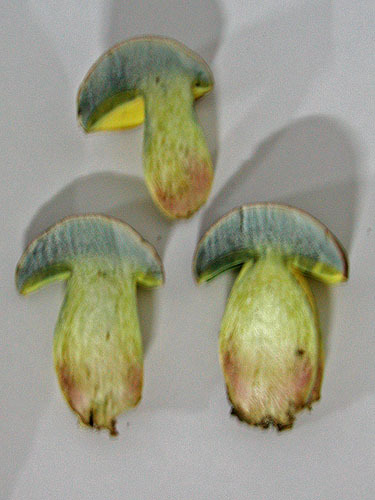 Compare with Boletus appendiculatus and B. pseudoregius.